Help Us Honor Gretchen Monahan on October 18th! 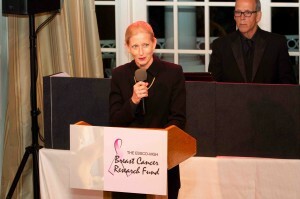 Save the date of October 18th for our 23rd Annual Cards for a Cure Benefit honoring the fabulous Gretchen Monahan for her work in support of the ESSCO-MGH Breast Cancer Research Fund. The event will take place at the Pine Brook Country Club in Weston, MA, and will be packed with wonderful people, delicious food, exciting gaming tables, terrific auction items, and your favorite Emcee/Auctioneer, Susan Wornick of WCVB-TV fame. One hundred percent of everything we raise will go directly to MGH for the purpose of fighting cancer! Won’t you join us? SAVE THE DATE FOR OUR 22nd ANNUAL BENEFIT! Our 22nd Annual Cards For A Cure benefit will be held on Thursday, October 26th at the Pine Brook Country Club in Weston, MA. 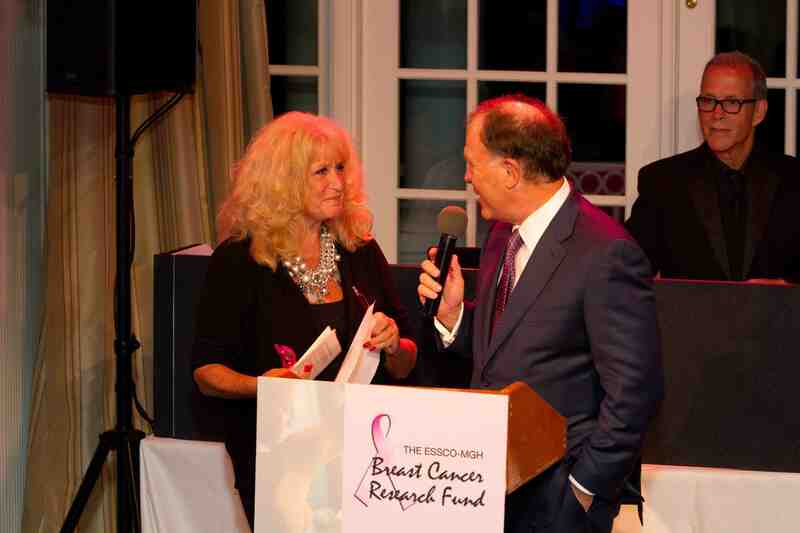 This year, we are proud to honor Larry Lebatique; a man who has worked tirelessly to bring awareness to the ESSCO-MGH Breast Cancer Research Fund and, in so doing, has raised over $60,000 for the fund! Save the date, and join us for a very special evening complete with professional gaming tables, silent and live auction items, delicious food, beautiful music by Big Daddy Jazz Trio, and our very own, one-of-a-kind Emcee and Auctioneer, Susan Wornick. Mark your calendars, and stay tuned for more information! Over $240,000 Raised For Breast Cancer Research! What a fabulous night! More than 200 guests attended the 19th Annual Cards For A Cure benefit honoring Dr. Barbara Smith of the Massachusetts General Hospital (MGH). And the best part? Over $240,000 was raised to benefit targeted breast cancer research programs at the MGH. In addition to the Man Cave raffle; gaming tables, and silent & live auctions Emceed by Susan Wornick, guests were treated to delicious food; entertainment by DJ Gary Titus, and a whole lot of fun. We are so excited to be honoring such a fabulous woman at this year’s 17th Annual Cards For A Cure benefit! 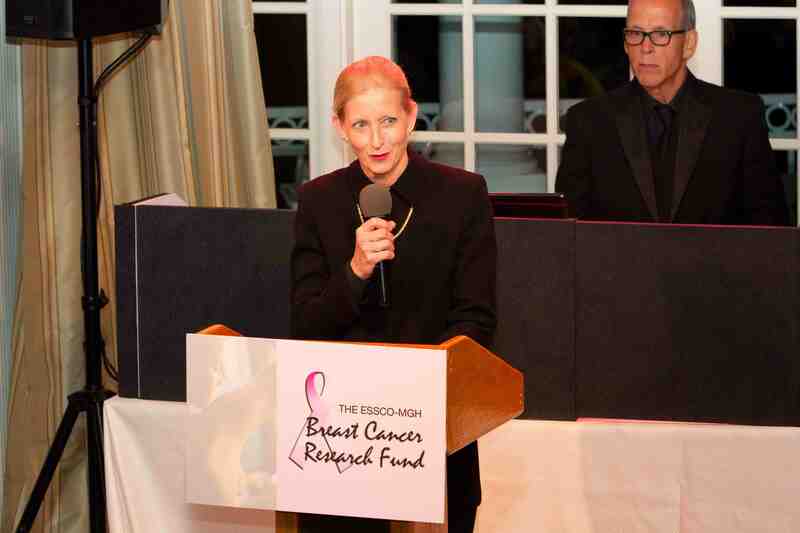 Suzanne’s efforts to assist women with breast cancer and to promote breast cancer treatment programs in the Boston community are widely respected. Her dedication to the innovative research programs we fund, coupled with her own personal story, are just some of the reasons she is being honored Thursday night. For more information about the event, please contact Missy Cohen-Fyffe at mcfyffe1@comcast.net or by phone at 603-635-9568. Join us Tuesday, October 27th beginning at 6:00 p.m. for the 14th Annual Cards For A Cure benefit! Cards For A Cure is a fun filled Casino Night complete with gaming tables, delicious food, valuable prizes and a whole lot more. Visit the silent auction tables where you can scoop up theater tickets, restaurant gift certificates, hotel packages, and bobbles galore. Or bid on exciting live auction items from Celebrity Auctioneer Susan Wornick of WCVB-TV. 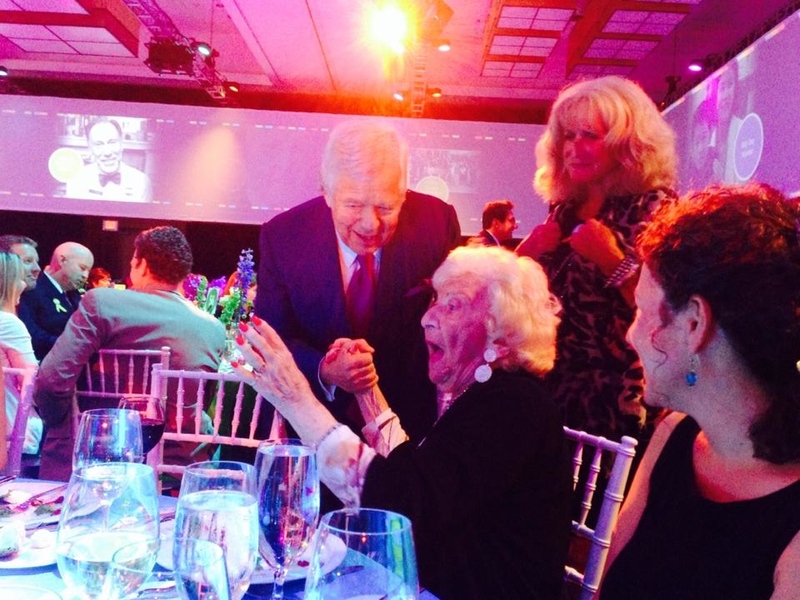 She’ll be auctioning one-of-kind items like a ride in a restored B-17 Bomber, a shoe-shopping spree at Greta Luxe, fabulous Celtics floor seats where you’ll sit with the owners, VIP Patriots tickets and much more. Tickets are $100 each and 100% of the money raised goes directly to vital breast cancer research at the Massachusetts General Hospital. That’s right. Every penny of your donation goes directly to research! Call 1-800-635-3899 to get your Cards For A Cure tickets today! All PSAs courtesy of 92.5 The River! Stay tuned to our favorite radio station, 92.5 The River, for information about the 14th annual Cards For A Cure benefit, to be held on Tuesday, October 27th at the Pine Brook Country Club in Weston, MA. Thanks to the generous efforts of A.J. and Cindy and the entire 92.5 team, the ESSCO-MGH Breast Cancer Research Fund is getting lots of FREE airplay!